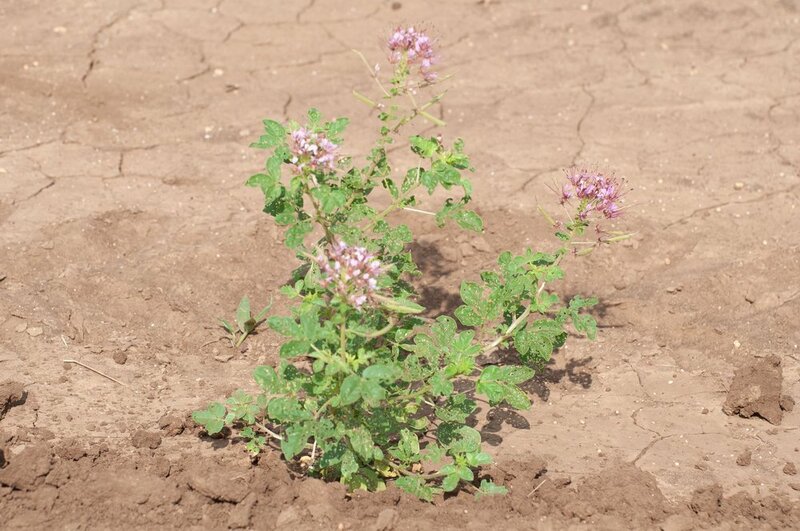 The Zapata Rio Grande Clammyweed is a composite of collections from Dimmit and Zapata counties. It produces pink flowers and seed from March through November. Its flowers and resulting seed attract pollinating insects and butterflies and provide a feed source for birds. While not a foliage source for deer or livestock, the seeds are eaten by birds and other wildlife, and the flowers attract butterflies. It is recommended for use in upland wildlife plantings, food plots for game birds, native landscaping, and in range seeding mixes. Planting: Plant in early spring or late summer-early fall a a rate of 5-8 lbs. pure live seed (PLS) per acre at 1/8 to 1/4 inch deep.